Visitors to Georgia must obtain a visa from Georgian diplomatic missions unless they come from one of the visa exempt countries, or one of the countries whose citizens can obtain an e-Visa. Visitors must hold a passport (or identity card if a Turkish, Ukrainian or EU citizen) valid for the period of intended stay, while Georgian citizens can enter with a valid or expired passport or identity card . 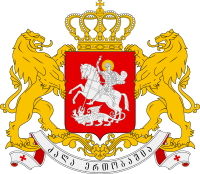 Georgia adopted a new law of on Legal Status of Alien and Stateless Persons that went into effect on 1 September 2014. It was amended on 9 June 2015 when the maximum allowed stay was extended to one year. The list of countries whose citizens have the right of visa-free entry to Georgia is no longer provided in the new law, it is determined in the separate ordinance of the Government of Georgia. The visa-free list was re-approved on 9 June 2015. Countries that were removed in September 2014, which are Bolivia, Cuba, Dominica, Guatemala, Iraq, Paraguay, Peru, Saint Kitts and Nevis, Saint Lucia, Suriname and Trinidad and Tobago, were not reinstated on the list. 1 — may enter with an ID card. 2 — may enter with an ID card if arriving directly from Ukraine. 3 — applies to holders of passports issued by Bermuda, British Virgin Islands, Cayman Islands, Falkland Islands, Gibraltar and Turks and Caicos Islands. Holders of diplomatic or official/service passports of China, Egypt, Guyana, Indonesia, Iran and Peru. Holders of valid visas or residence permits of EU/EFTA/GCC countries, overseas territories of EU countries (except Anguilla, Montserrat, Pitcairn, Saint Helena, Ascension and Tristan da Cunha), Australia, Canada, Israel, Japan, New Zealand, South Korea or the United States - for stays of max 90 days in a 180-day period. However, there have been many cases where those holding valid residency of GCC countries have been denied access without assigning any reason, especially if they are citizens of India and Pakistan. An agreement with Paraguay on mutual visa-free visits for holders of diplomatic and service passports was signed in September 2016 and is yet to be ratified. Agreement with Serbia and Fiji on mutual visa-free visits for holders of ordinary passports were signed in March 2018 and March 2019 and are yet to be ratified. Entering Abkhazia and South Ossetia (considered by Georgia and a major part of the international community to be Russian occupied territories) through border crossing points other than located in Georgia's Zugdidi Municipality and Gori Municipality is an act punishable under Georgian law. However, entering South Ossetia from Georgian government controlled territory is currently impossible. Wikivoyage has a travel guide for Georgia. ^ Georgia, Civil. "Civil.Ge - Georgia Restores One-Year Visa-Free Rules". www.civil.ge. ^ "Georgia: New Visa Regulations". www.gov.uk. ^ "Legal Status of Aliens and Stateless Persons – 100 Questions Regarding the New Law (March, 2014)" (PDF). mfa.gov.ge. Archived from the original (PDF) on 2 August 2014. Retrieved 20 August 2014. ^ "Check if you can enter Georgia and stay for a year visa-free". agenda.ge. ^ "იმ ქვეყნების ჩამონათვალის დამტკიცების შესახებ, რომელთა მოქალაქეებსაც შეუძლიათ საქართველოში უვიზოდ შემოსვლა". matsne.gov.ge. ^ "GeoConsul.Gov.Ge - Ministry of Foreign Affairs of Georgia". www.geoconsul.gov.ge. ^ "იმ ქვეყნების ჩამონათვალის დამტკიცების შესახებ, რომელთა ვიზების ან/და ბინადრობის ნებართვების მქონე უცხოელებს შეუძლიათ საქართველოში უვიზოდ შემოსვლა შესაბამისი ვადითა და პირობებით". matsne.gov.ge. ^ Reporter, Faisal Masudi, Staff (24 December 2015). "Holiday makers turned back from Georgia -- $3,250 worth of holiday expenses wasted". gulfnews.com. ^ "Georgia-Paraguay launch visa-free travel for diplomats, businessmen". agenda.ge. ^ "Serbia, Georgia sign visa liberalization agreement - Xinhua - English.news.cn". www.xinhuanet.com. ^ "Georgia e-VISA Portal". www.evisa.gov.ge.